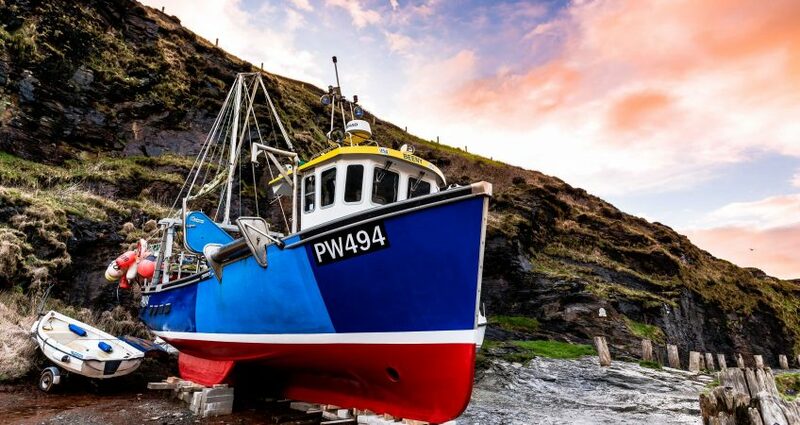 Here is a capture of a local fishing vessel, freshly re-painted, resting in the quaint harbour of Boscastle, Cornwall. This was my third attempt at capturing this setting under a salmon pink sky for a ongoing stock photography profile re-boot. If you ever visit, there is a pretty cool blowhole inside the bottom of the cliff at Penally Point and a Museum of Witchcraft & Magic which I’m still yet to investigate!